AMSDEN’S NAME SAKE. 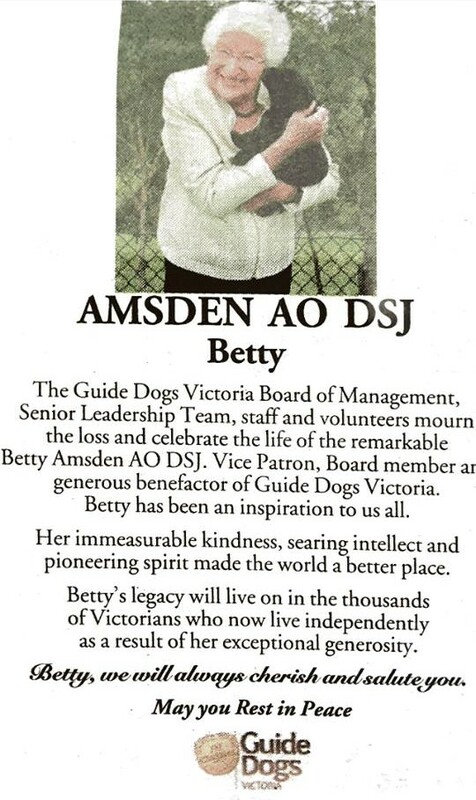 Betty Amsden OAM was the long time patron of the Arts Centre Melbourne and the Australian ballet. She was also heavily involved in Guide Dogs Victoria and a board member of the RSPCA. For over 35 years she has made an extraordinary contribution towards changing attitudes about private support for the arts and charities. Betty passed away on Feb 26th. 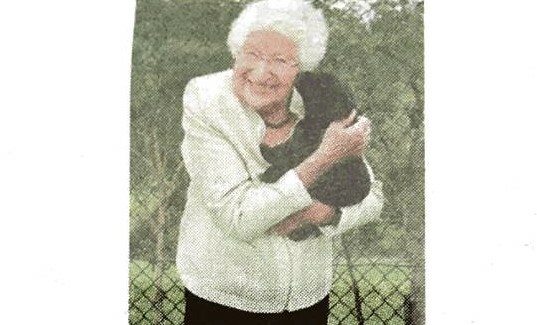 Last year when she turned 90, Guide Dogs Victoria named a puppy ‘Amsden’ in her honour. Amsden is pictured here as a pup! Mrs Kearney applied for and became a puppy raiser in October 2016 (the Guide Dog Association is always looking for puppy raisers). Amsden started coming to school the day after she was delivered. Many of our year 3 children in 2016 completed projects on Betty as a part of their unit on Volunteers and Helping Others. Amsden is 7 months old and Mrs Kearney with the help of OSPS will continue to care for her until she is about 12-14 months, when she will be returned to GDV for an assessment. If she passes her assessment she will then complete 3-4 months training in Australia or overseas to become a guide dog. If this is not to be her pathway, then she may become a therapy dog or companion dog. Rest in peace Betty, your contributions will never be forgotten.